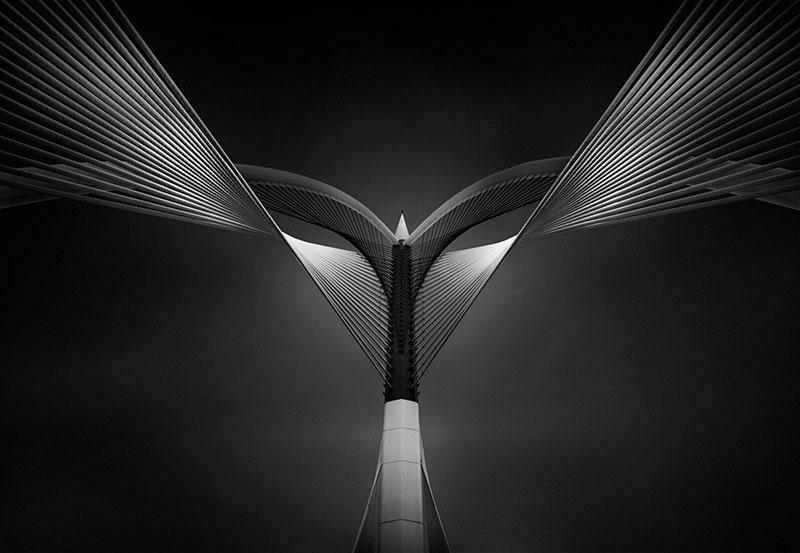 Ahmed Thabet was another one of the contestants at the 2017 International Photographer of the Year that won first place in the category “Architecture: Bridges” with his image “Heart of Steel”. Ahmed is a doctor by profession who made an unexpected career change and became a photographer. 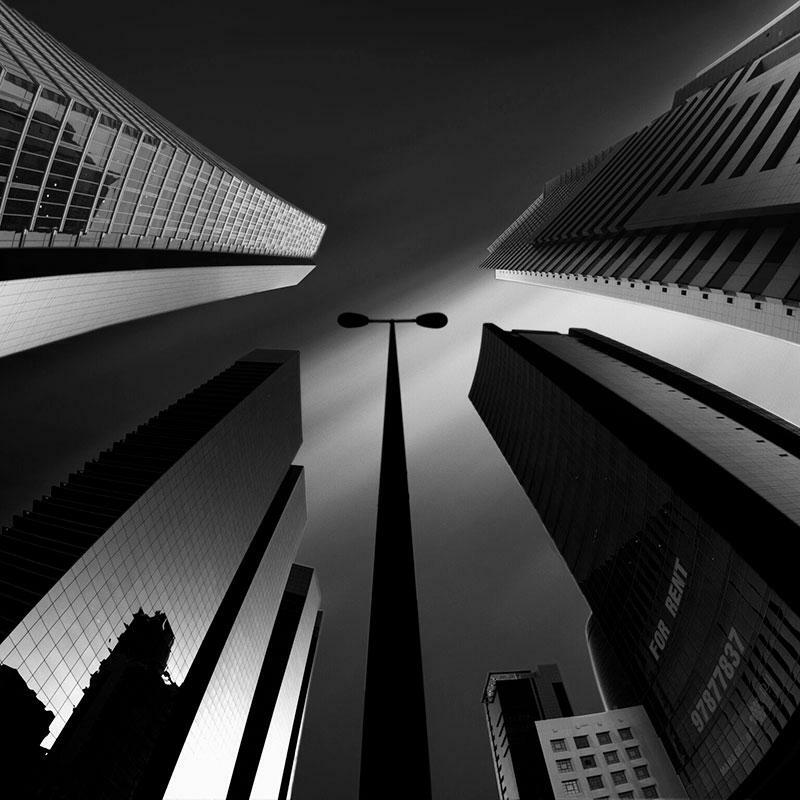 His exceptional photographs tell stories of man made structures, glorified by a photographer’s sharp eye. 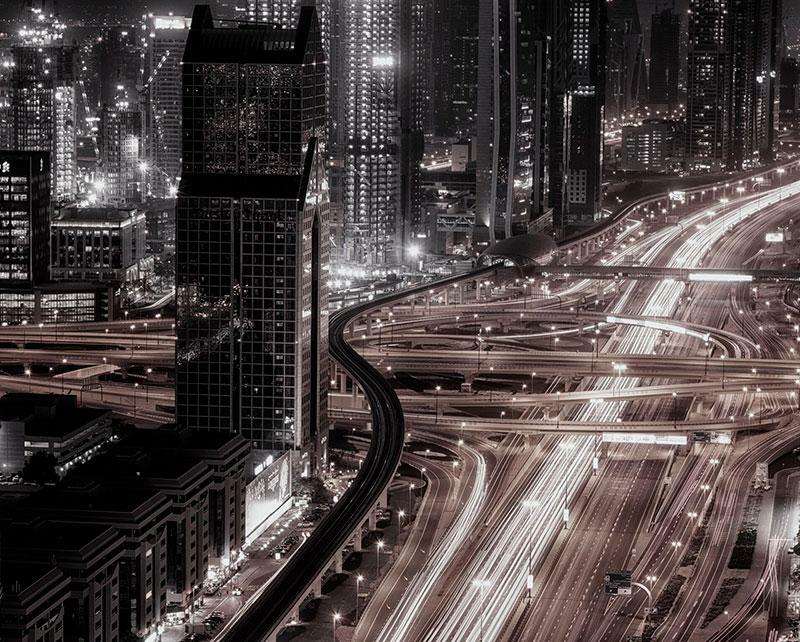 Today Ahmed tells us his story, shares tips and inspiration with our community of photographers. My name is Ahmed Saeed Thabet. I’m Egyptian, based in Kuwait. I was born On October 25, 1973. I graduated from medical college in 1999, then took up a master’s degree in pediatrics in 2006. I’m married, and have two beautiful boys. My story with photography is very interesting. It started 6 years ago. My medical speciality as a neonatologist is one of the most stressful in the medical field. I complained to my senior Indian colleague about this kind of stressful sedentary life we had been through since graduation from medical school. After a long discussion, he gave me the most valuable advice I have ever recieved, “Get a new life, a new hobby like photography”. I took it literally, and then one of the happiest chapters of my life started. Frankly, I have been self-taught, but I really do believe in formal training. I made a huge effort, but it might have been easier if I had a chance to learn. I always focus on a preconceived idea on my mind. Usually it does not have any relation with architecture and trying by using camera and different lenses, especially ultra-wide lens and fisheye to come up with something. Usually I put it into a series of shots with the same architecture. Working in a series is usually challenging. I consider architecture my beautiful model. Have you ever seen a beautiful model came out of photo session with just one shot? With a series of shots there is no possibility for lucky shots. An artistic vision can only be fully expressed through a series with different perspectives. A single shot is about architecture but series of shots are about me and my artistic vision. 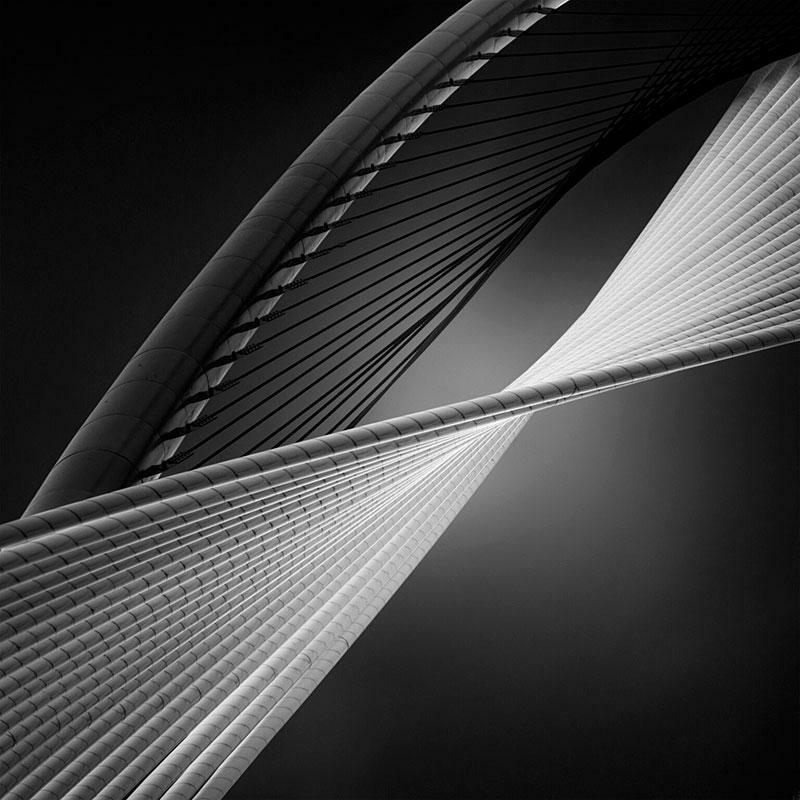 I have a lot of series but my series to Seri Wawasan bridge in Putrajaya city in Malaysia, (which I named “Heart of steel” due to my abstract approach) which focused on the heart of the structure in all shots, is the closest to my heart. I did it over 2 years in 2 different visits to Malaysia. On the first visit I came across the bridge by accident, I was stunned by it’s futuristic asymmetric cable-stayed design. The lines and shapes were magical. I grabbed my camera, and started to shoot euphorically. I got so many shots (all of then were snap-shots) but the most upsetting thing which might happen to photographer had happened to me at that time. I did not take a few steps more to cross the road and photograph the most sophisticated and beautiful part of the bridge. I was very upset, but I decided to go back all the way to finish the job next year. I did it, and took long exposure shots as well. I was very calm and focused with my very sharp vision which based on my medical background as well (it looks like human anatomy), by this way this is the series which has won the first place in the International Photographer of the Year 2017 contest in the category “Architecture:bridges”. Really I put some of me in every image I do; it’s part of my origins and tradition. 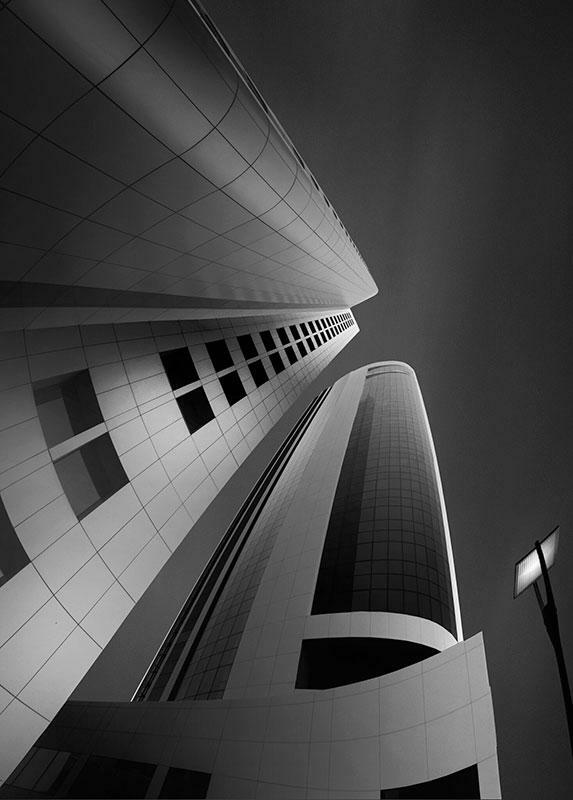 My series “Scimitar”, for example, is an abstract approach to some of Kuwait city buildings like Tujaria tower and Martyr Tower. 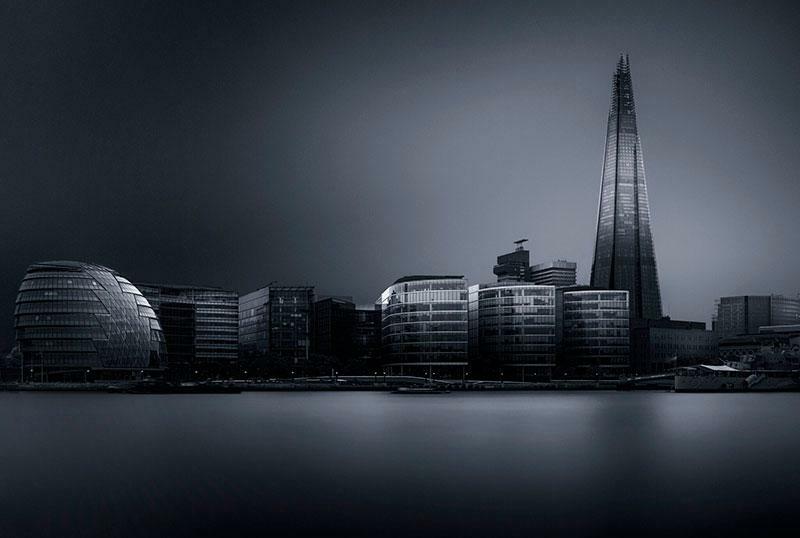 Also London city buildings like Gherkin. I was influenced by the medieval eastern sword which is historically called “the scimitar”. It’s famous for its curved blade and wide surface. I literally saw the buildings like a sword. I used fisheye lens and ultra-wide lens benefitting from their distortion as much as I can. The most boring thing you do in art is be normal. I do not accept norm in art, my image should convey emotions and thoughts to the viewers. 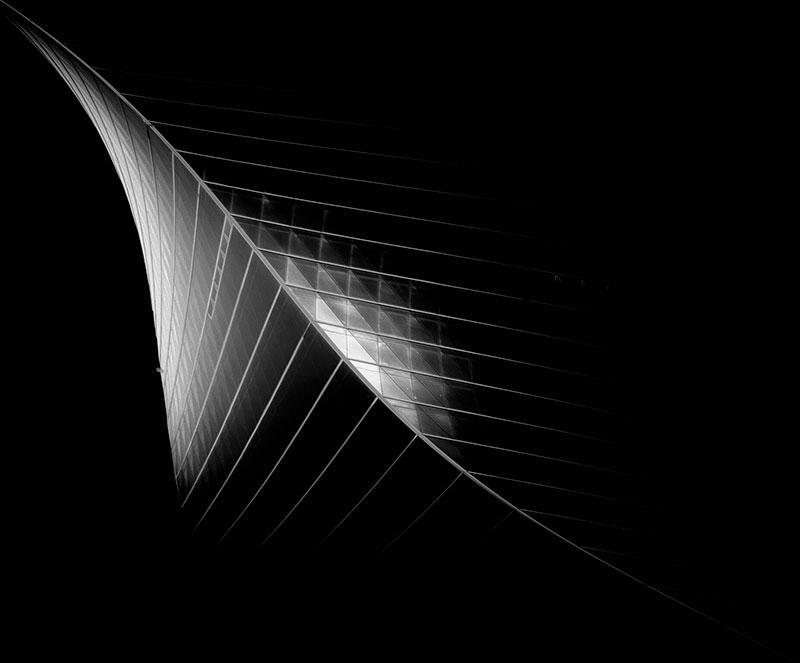 Long exposure, monochrome, abstract, minimalism, creative edit – all these are a tools to allow you to do something revolutionary. Finally I want the viewers to say “This is Ahmed’s image” on the spot, without recognizing my signature. Being creative, always being fruitful and mysterious. 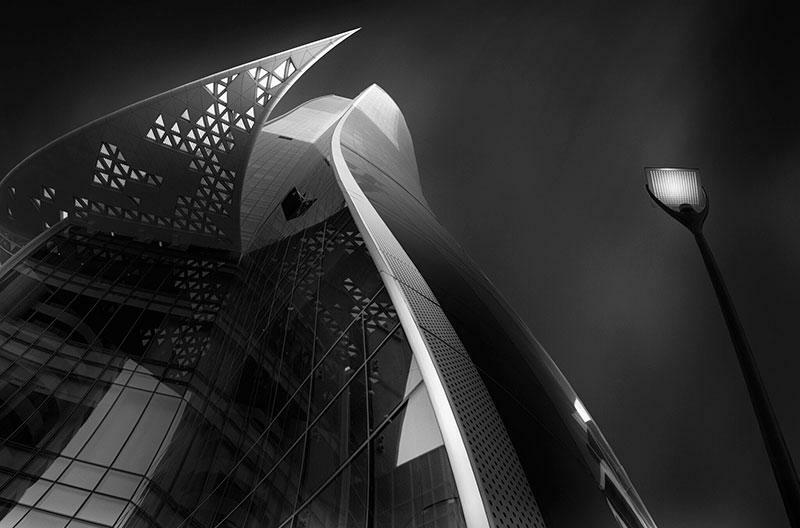 In architectural photography we are being inspired every day by a lot of beautiful works of our brilliant fellows. If I have to mention names, with no doubts I will single out the Dutch international photographer Joel Tjintjelaar and the Greek international photographer Julia Ann Gospodarou. 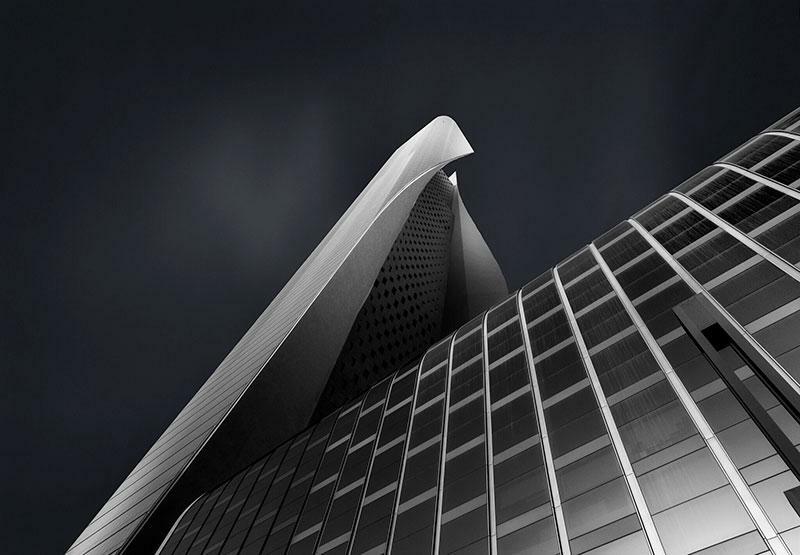 They both inspired a full generation of architectural photography, their fingerprints can be spotted everywhere . I never forget a series of Zeelend Bridge to Tjintjelaar and black hopes to Julia, they were turning point to me. First, the pharaonic ancient civilisation which was basically the civilisation of engineering. 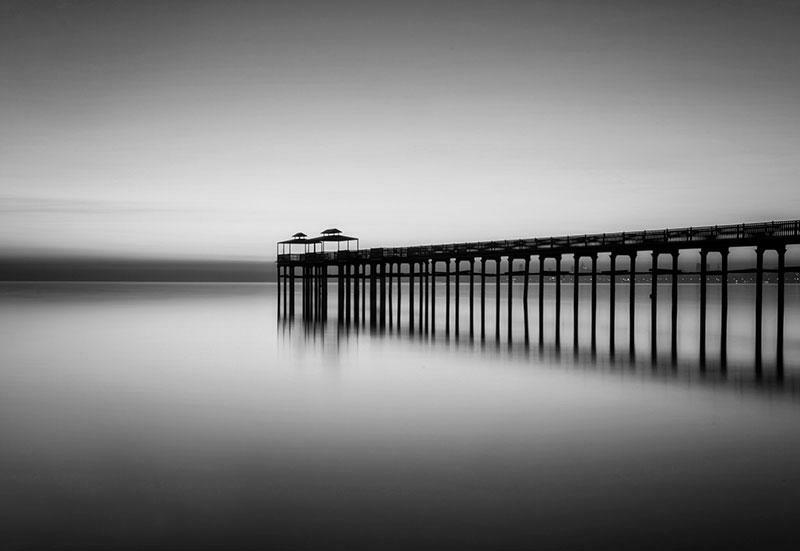 Second, work of the brilliant British photographer Michael Kenna. What motivates you more to continue taking pictures? Is it more economically, intellectually or emotionally speaking? Definitely emotionally (it is love story). Would you say photography is more liberating or restrictive than other artforms? We have two different generations of photography thriving currently – the film generation and the digital generation. If you look at the start of photography, you realize that the first art movement that left a mark on photography (pictorialism) is undeniable. I consider the pictorial era as the most creative in the photography history. Then what we can call the anti-pictorial era followed and overshadowed by the first and second world wars which I consider was to some extent restrictive and the photo journalistic style led the scene. The digital photography started off new pictorial era which was very creative and free. To me a photograph is just a frame; I focus on taking regular objects and transforming them into art with no limits. I have been through many successes some local and some international, but winning in the international photographer of the year 2017 competition is my best up to now. First place is always mighty. Memorable photograph is always what we are looking for, if it is not memorable, what is it good for? It should carry the artistic fingerprint which makes it belongs to me. Without a photographer fingerprint, it will never be memorable. Just one. Create your own style, do not be overshadowed by any one, stand up and build up your art. As much as you will fail, with strong will, you will make it. I would say there was some sort of struggle but finally she concluded that I am happier this way. My wife is a doctor as well, by the same speciality, the same graduation year. For her, I am still holding a title of “doctor Ahmed”> Maybe lately she started liking photography, who knows. How was your experience with participating in the contest International Photographer of the year? How do you feel about your accomplishment? Absolutely fantastic! One of the most prestigious international photography competition in the world with very serious competitors. First place in “Architecture:bridges” professional category alongside 4 honorable mentions are more than enough for me right now. If you enjoyed this interview, and like Ahmed’s project, see if you can find inspiring ideas in our feature article on creative photography projects to jumpstart your creativity.